JOIN THE GROVE COUNTRY CLUB TODAY! No Initiation Fee! FOR A LIMITED TIME - OFFER ENDS 4/1/19 - JOIN BY 3/1 & RECEIVE ONE (1) COMPLIMENTARY GUEST FEE! 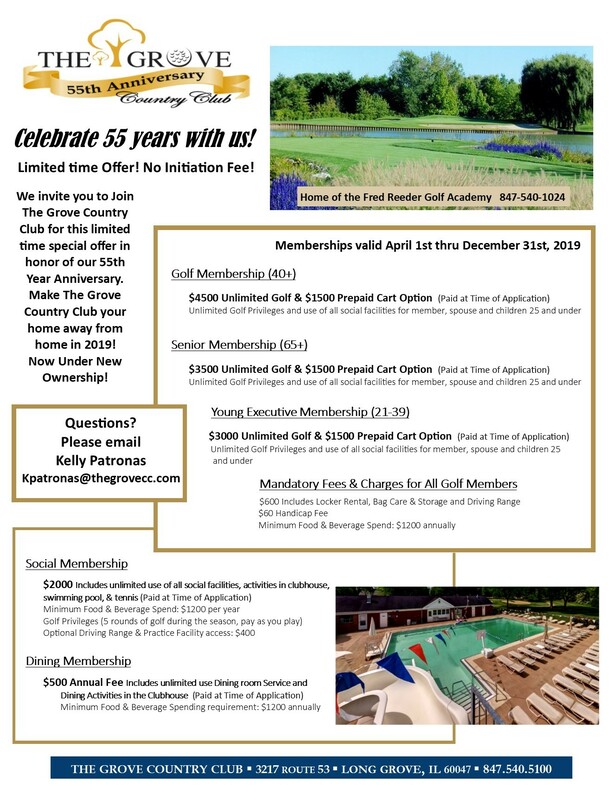 Please Contact Kpatronas@thegrovecc.com for all Membership Inquiries!